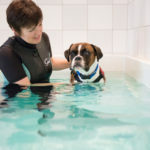 A small animal physiotherapist offers specific physiotherapy, hydrotherapy, aquatic therapy, rehabilitation and positive behaviour solutions for dogs, cats and other small animals. Whereas a veterinary physiotherapist may cover a breadth of rehabilitation practice for large (e.g. horses, cows) and small animals. 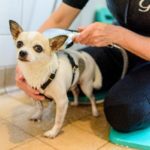 Concentrating on a specific area of practice, small animal veterinary physiotherapists have an extensive knowledge linked to advanced clinical skills, as well as often having access to a more extensive range of sophisticated equipment. Our qualified team of of small animal veterinary physiotherapists see complex canine and feline cases on a regular basis. 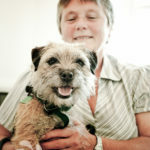 We are all canine specialists offering a range of healthcare services. K9HS highly values its large network of referring Veterinary Surgeons, veterinary clinics and hospitals, as well as receiving second referrals from other therapists. Working within the UK legal framework, we require a written referral from your Veterinary Surgeon so we can then book your appointment. Our straight forward system to do this is explained in how to make an appointment.